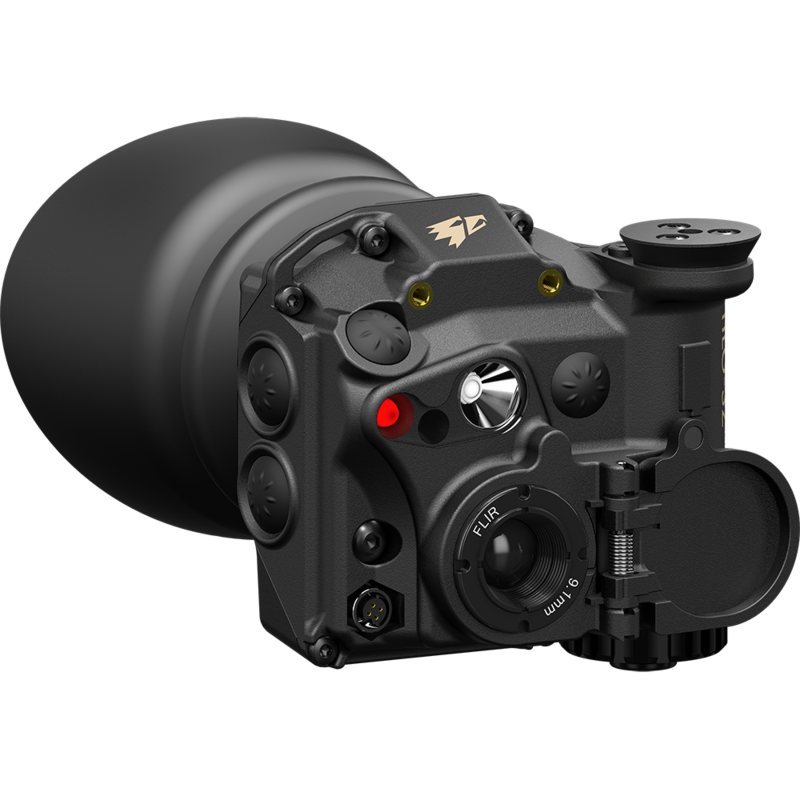 With the innovative TILO-3™ (Thermal Imaging Light Optic), Andres Ind. 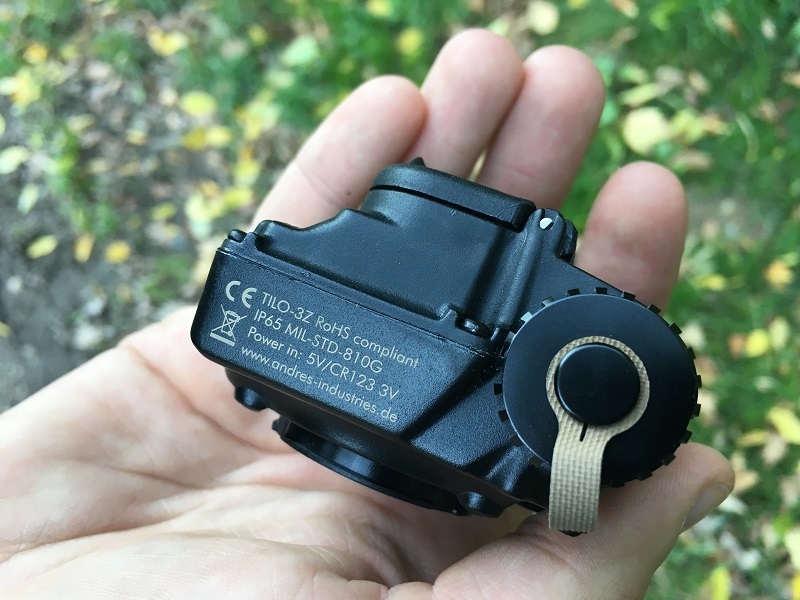 have not only developed the smallest thermal imagers in the world with a length of 4cm, but also created the completely new product group of thermal headlights by combining them with a forehead lamp. 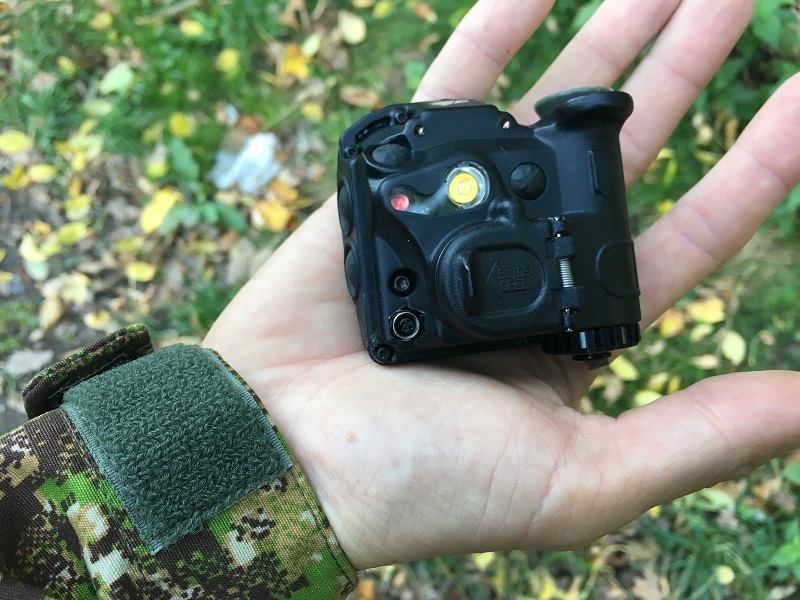 It is therefore a thermal imager that has all the functions of a tactical helmet/headlight. TIMRO-X. 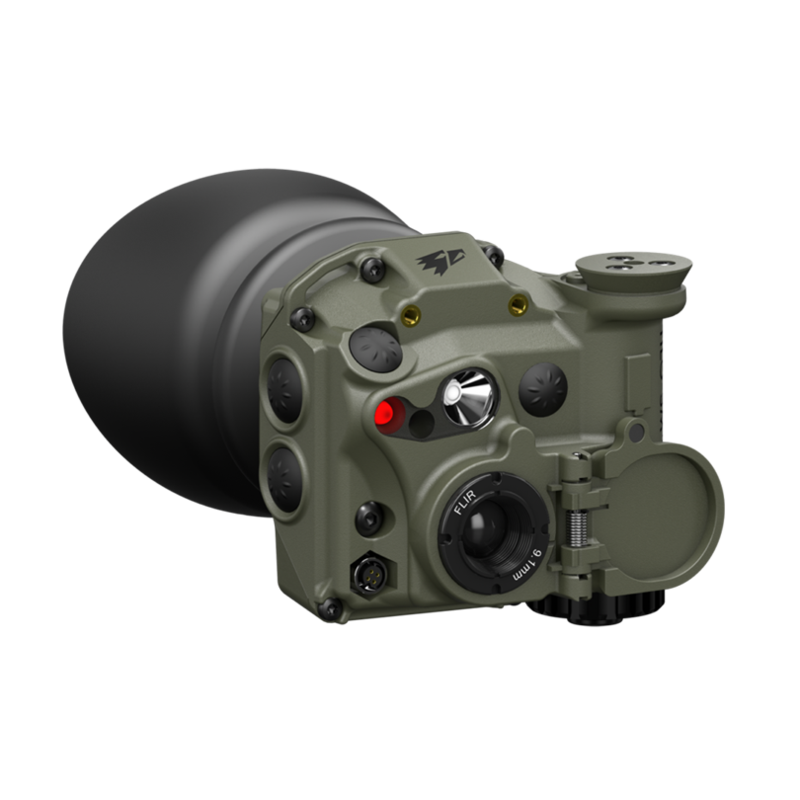 We also equip special units worldwide with night vision and fusion thermal imaging technology. With our latest device, the extremely small (100g/3.5oz) TILO-3, we are now creating a completely new product category (Pat. pend. )- the thermal head lamps. This device is equally suitable for public authorities as well as for private users. Ultra low profile: The TILO-3 is currently the shortest and lightest thermal imaging device with a length of only 4cm (1.57in) and a weight of 100g/3.5oz. 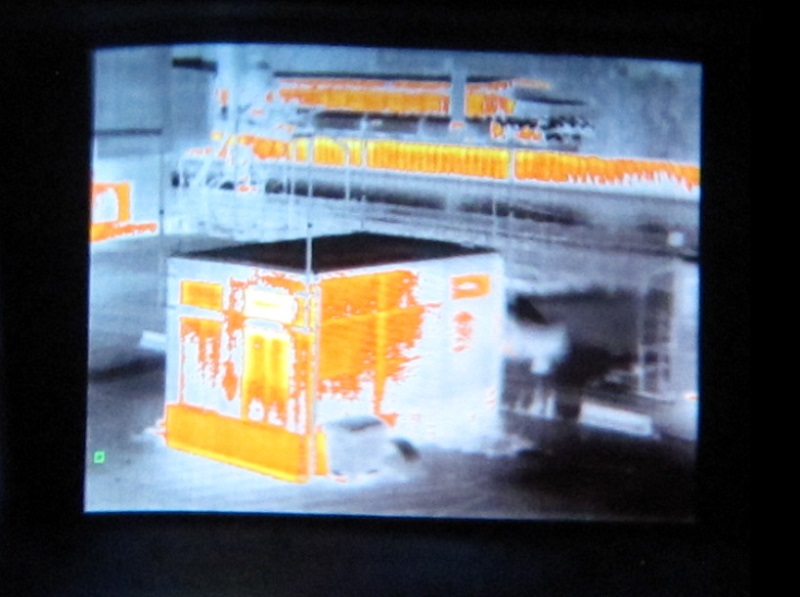 In the lamp mode, the thermal imaging sensor is switched off. The energy consumption is thus limited to the lamp functions. Brightness: The three LEDs (white, red, IR) can be adjusted in brightness in 10 steps and have a luminous flux of up to 160 ANSI lumens (booster mode white). 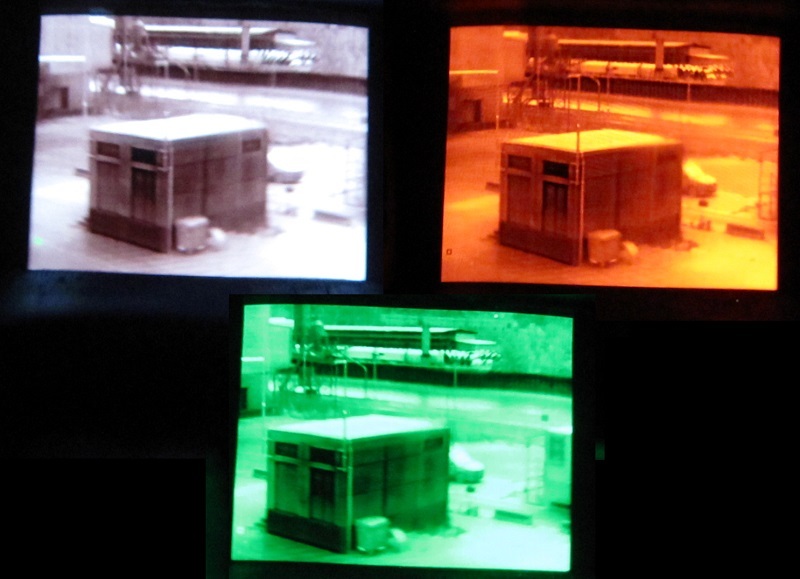 In the thermal imaging mode it is also possible to use the lamp functions at the same time. This is extremely useful in finding missing persons. Striking heat sources vcan immediately be examined or assigned to other detectors. 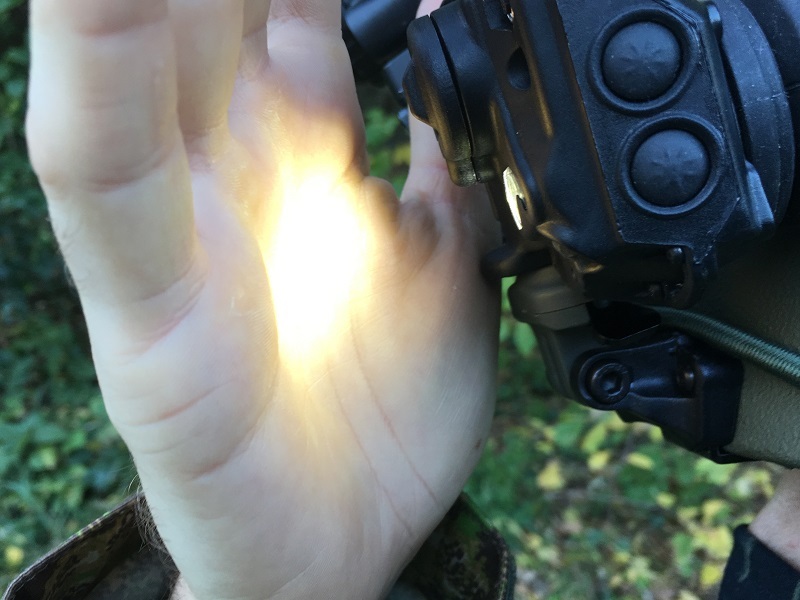 The Friend-foe identification of the IR light can be used in such scenario to distinguish different search teams. Download the brochure for more information. You'll find the button below. Interested? Contact us right away and we get things on the move. Which TILO is right for you? The best seller at the moment is certainly the Z+, but compare for yourself. We are also happy to advise you by telephone. You can not have everything ... or can you? For example, the thermal helmet lamp. Would that be a helmet lamp with thermal imaging function or even more a thermal imaging device with additional lamp function? This almost philosophical question has driven us and we wanted to use the TILO-3Z from Andres Industries to get to the bottom of it. "Z" is here (including the packaging) for the civilian version. 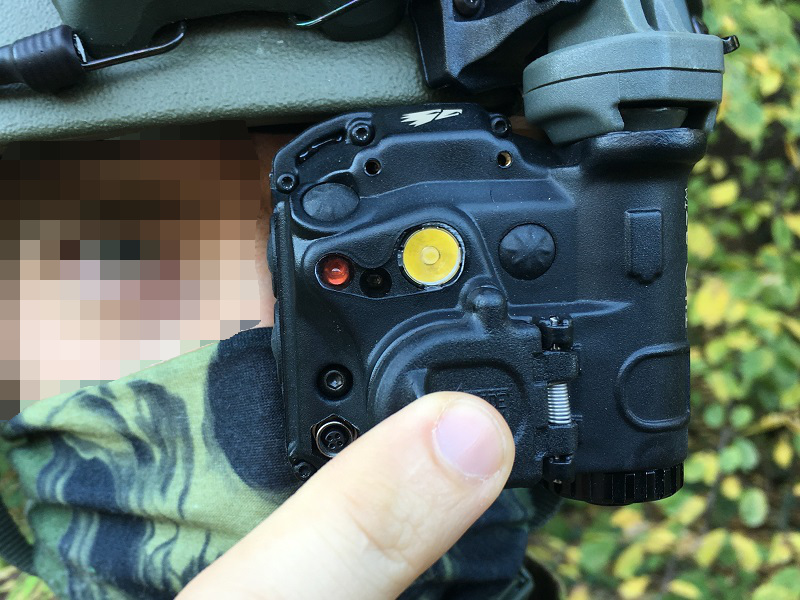 One thing she has in common with the military variant: this is the world's smallest thermal goggles and a great device for many applications. The TILO-3Z is supplied to the user in a shapely box. She does not need a lot of space: small but powerful. Insight into the holy of holies: Inside the box is - surrounded by foam protective - the thermal helmet lamp with the removable eyecup. One thing that always strikes you is the small size of the TILO-3Z. Just 67 x 64 x 40 mm small is the device, which is operated with a CR123A battery. The two pushbuttons to the right of the LED and to the left are clearly visible. These buttons control the lighting functions. The battery compartment is located at the bottom and is closed with a screw flap. The cap is secured by Hypalon against loss for now. 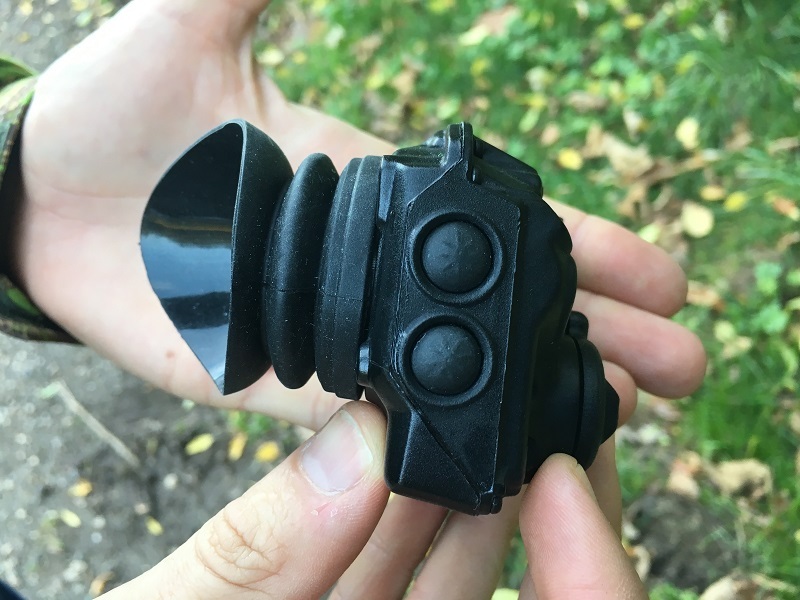 Here is the eyepiece on the back. It looks huge compared to the device. The eye relief is chosen so that the TILO-3Z can also be used with safety glasses without any problems. 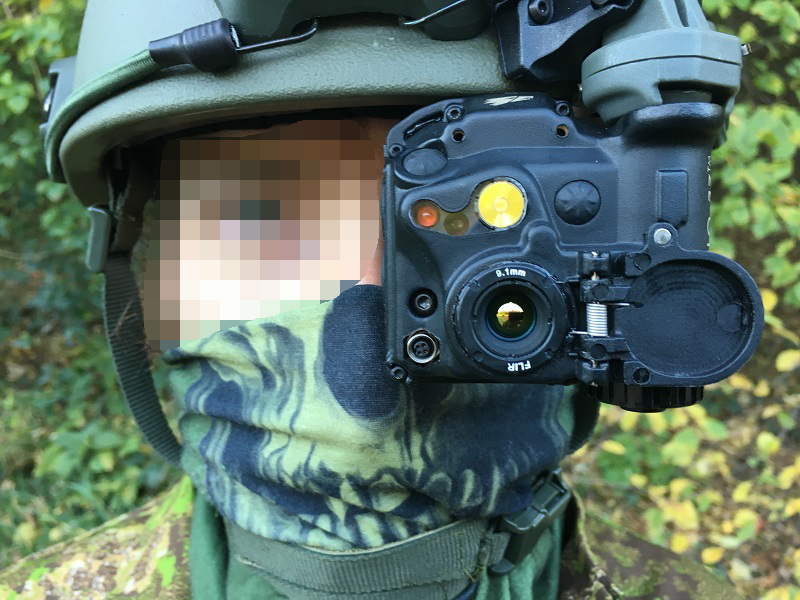 The TILO-3Z from the side with attached eyecup. The push buttons shown here are for the operation of the thermal image. 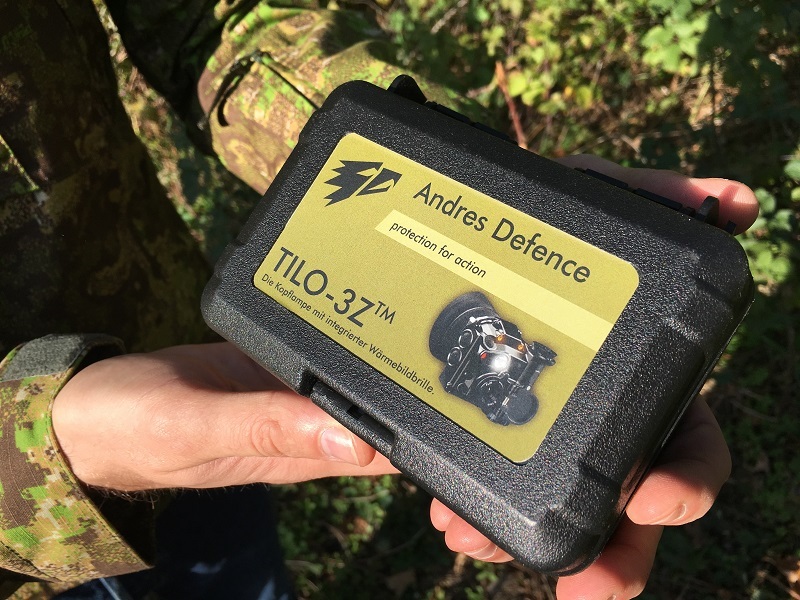 What can the TILO-3Z actually do? First, it is a headlamp with white (max 160 lumens), red (max 24 lumens) and IR light. These lights can all be regulated in 10 levels and have the functions flashing, SOS flashing and of course, permanent lights. And the hint: To keep the length of the review in a bearable frame, we will go into the helmet and the headgear in a separate article, which is coming soon. Operation is via the two frontal pushbuttons. These are little buttons for many functions. For the exact operation, we refer to the instructions , as it is quite complex. What brings us to a small point of criticism: When switching on the light jumps to the last used setting. So, if the "White Level 10" was and you really want "Red Level 1", so as not to be discovered too fast, it shines brightly and you have to switch to the desired setting. For tactical situations, it would be better if the lamp always started with "Red Level 1". 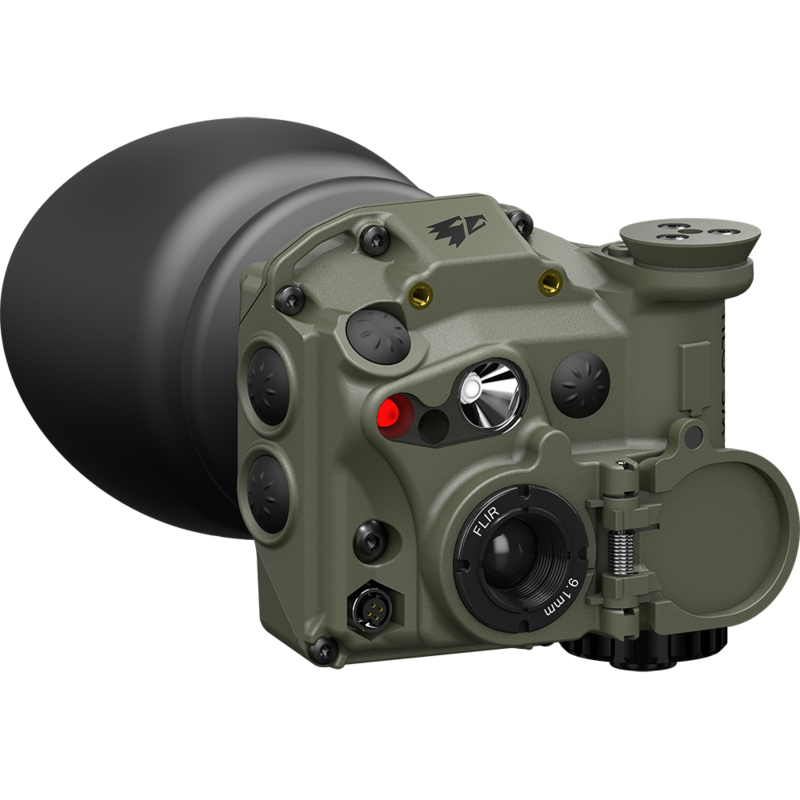 Second, the TILO-3 - and this is the main function - a thermal goggles / handheld monocular. We had the TILO-3Z (Z for civilian) available for this test. 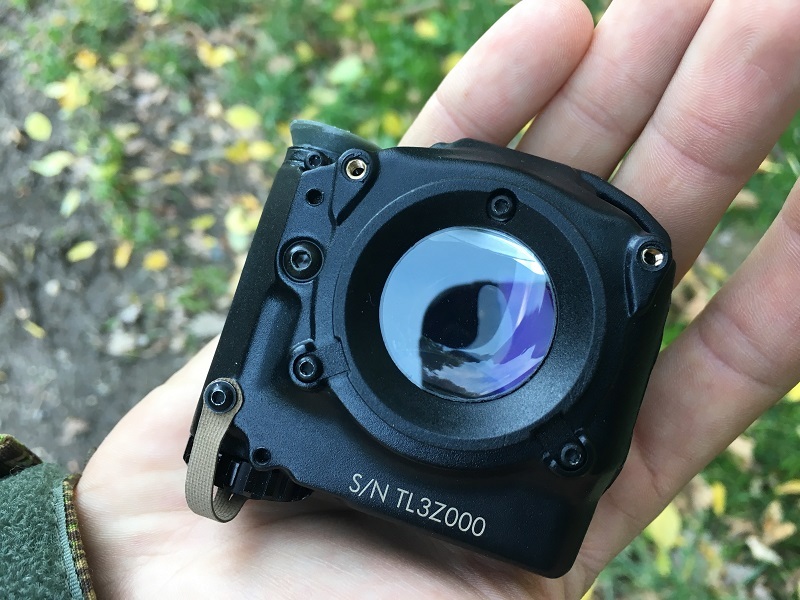 Compared to the military model TILO-3M it has a lower temperature resolution (<60 mK) and only a frame rate of 9Hz. As a result, the picture looks a bit jerky when you look at moving things. An observation while standing or walking slowly is possible. That's great, even though the military version with a higher frame rate is much more super. Or simply said: There is nothing jerky then. 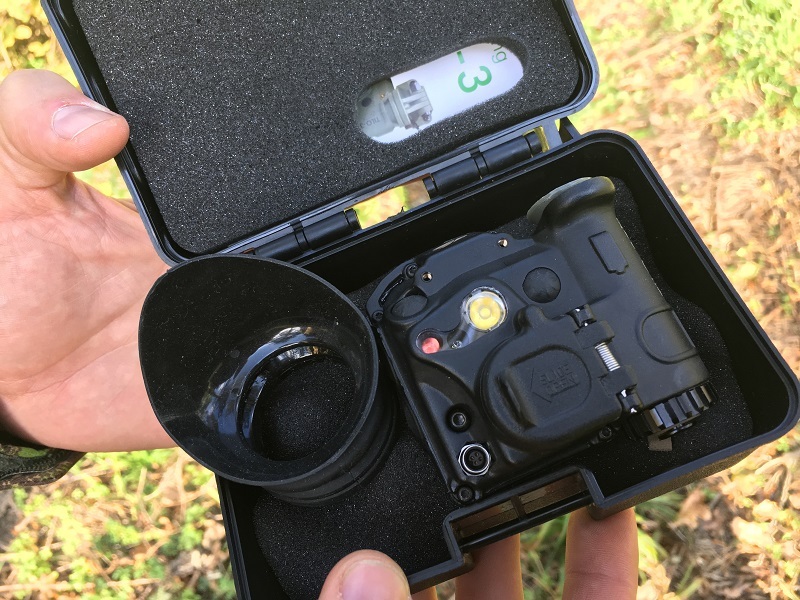 Switching on the thermal imaging function is as simple as with the TIMRO : Unlock the flap, open it, let it go! To turn it off, simply close the flap again. 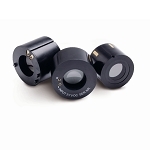 Since the TILO-3Z is a very small thermal imaging device, you may not expect too much here. Anyone who has ever been able to see through larger and, above all, much more expensive devices may not be particularly euphoric. BUT a detection of heat sources up to 300 meters is possible under good conditions with the TILO-3Z. Up to 200m you can see people or deer in any case. For the size and price of the device, the performance is excellent. In total there are ten different filters available for image output. When setting the filter is free after Payer : "Never back! "; should mean, for example, if you want to switch from "Black Hot" back to "White Hot", you have to switch through the other eight modes. Each mode can have its own observation advantage. White Hot / Red Hot: The Red Hot mode is very pleasant, especially at night and when used continuously. Black Hot / Red COLD / Green COLD: Same game as in the previous two modes, except that heat is blacked out here. This has an advantage in some environments. The mode Green Cold is intended to reduce the information provided by residual light amplifiers. Rainbow / Rainbow HD: The world on an acid trip, at least that's what you think of it, when the practical experience is lacking. This filter shows approximate temperature profiles. The HD version has a higher contrast. Ironbow / Glowbow: These two filters make you feel like you 're on another planet, Glowbow and hell. Hottest: The tenth in the league. A very handy filter, because everything that is warm is shown orange and the rest gray. As a result, a heat source immediately catches your eye. CONCLUSION: The thermal helmet lamp, an almost infinite universe. We can answer the initial question because we know that this is a very good product overall. 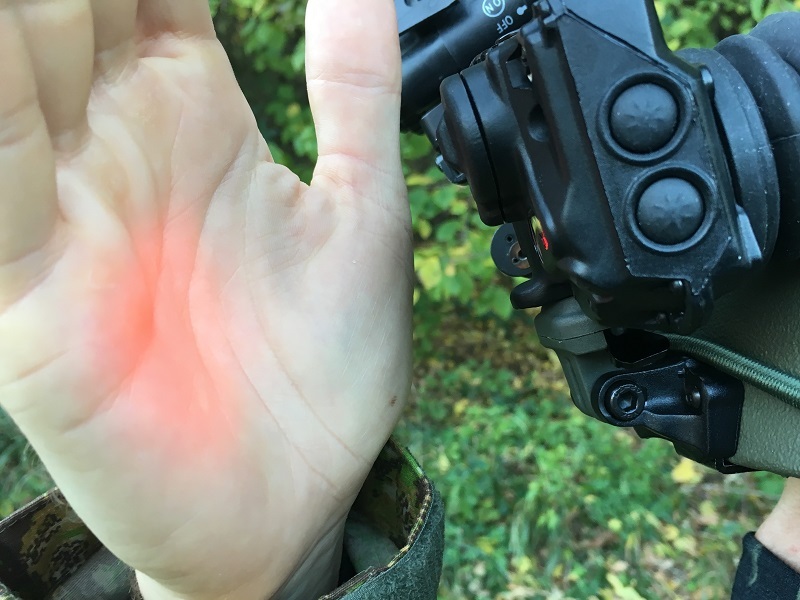 And it is, in all other functions that are nice additional features, especially extremely handy thermal imaging device. It is of course no comparison to more expensive and especially larger devices, but as an efficient detection aid that you just have it there, unbeatable. 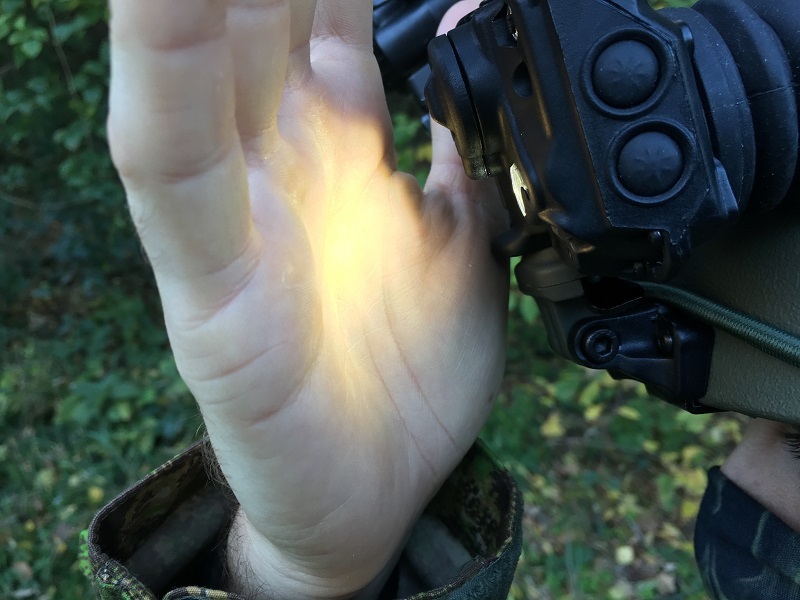 Above all, the combination of tactical lamp and thermal image has not been seen before and is practical. Military and police, the device is a great Bringer. Also for the civilian sector - in the hunt in front of all - the TILO shines with their skills. The various military and civil versions are listed below in the graph with technical specifications and prices. Available directly is everything at Andres Industries; the TILO-3Z for 2.999 € and the TILO-3M for 4.998 € excl. shipping.